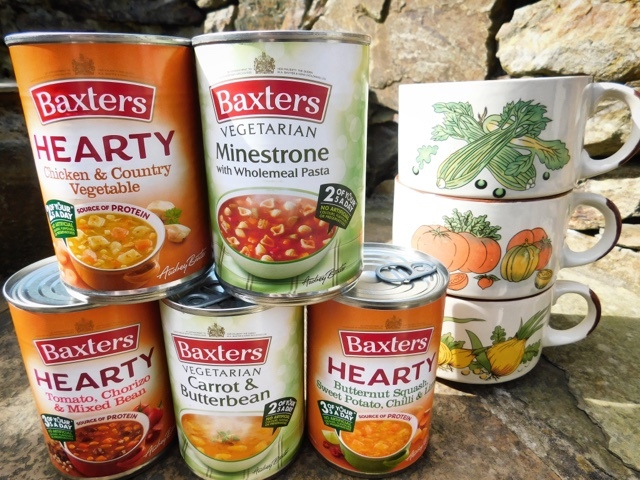 I'm pretty much always up for a foodie related challenge so when Baxter's got in touch and asked if I'd be interested in participating in their Souper Swap, I licked my lips and looked out my tin opener in anticipation. Turns out the tin opener wasn't required - their cans all have a ring pull - bonus! The general premise was that I swap my usual lunchtime sandwich for a can of Baxters Hearty or Vegetarian soup for a week. Cutting down on calories and ticking off up to three of my five a day. Surely a win win situation! I have a great fondness for Baxters products and have visited their factory in and Visitor Centre in Fochabers on many occasions. One of which was a field trip with my O Grade Economics class! It's located midway between my home in Aberdeenshire and my parents home on The Black Isle so is often a halfway meeting or stop off point. The cafe does amazing enormous pancakes which you absolutely must try if you ever visit. My Dad always opts for their Cullen Skink and their Royal Game Soup is the stuff of legends! For this challenge I was trying out a selection from both their Hearty and Vegetarian ranges. For my first lunch I opted for what sounded like would be one of my favourites - only time would tell! It was definitely hearty - I realised half way through it's 3 minutes in the microwave that there was still some stuck in the bottom of the can. Butternut Squash and Sweet Potato are such great soup making ingredients. In this variant protein is added by way of Butter, Haricot and Edamame beans. Counting as 3 of your 5 a day (although it's now 10...) it also contains carrots, onions, celery and peppers. You really do taste the zingyness of the lime along with a wee touch of chilli. For my palate it was under-seasoned and I needed to add salt. Today's soup could almost be described as a bean stew it was so thick. This time I used a spatula to make sure all the contents had left the can. Pimto, Haricot and Kidney beans are combined with tomatoes, carrots, onions, celery and leek to provide a source of protein and 3 of your 10 a day. The Chorizo adds a fantastic depth of flavour but the actual pieces are disappointingly small. I reckon it would have worked just as well using Smoked Paprika and keeping the recipe vegetarian. A couple of cans would definitely make a great base for a casserole with chicken and cooking chorizo. Thinner in consistency than the previous two I felt an oatcake was required alongside as it was rather a light lunch on it's own. Tasty (although I needed to add salt and pepper) but probably not one I'd choose again as there are more exciting soup flavour combinations that I'd opt for. Only two of your 10 a day in this one but like all of the others so far it is Gluten Free. To be honest I wasn't expecting much of this one but was pleasantly surprised. Nice chunky vegetables - primarily carrots and potatoes but also sweetcorn and leeks. Not much to be found in the way of actual chicken but a really tasty soup. I was converted with this one. Again I added seasoning to my own taste. Not sure if it was a good move but I kept my least favourite until last. 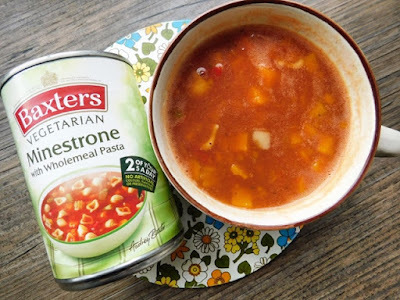 I'm not a fan of Minestrone and us such its not something I would ever choose to eat and I'm afraid that this one didn't convert me. I added some chopped chorizio to pimp it up a wee bit but of the five this one scored the lowest for me. You are a Perfectionist! 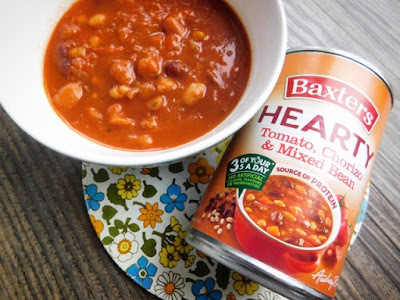 Why not try Baxters Smoked Bacon and Three Bean Soup? 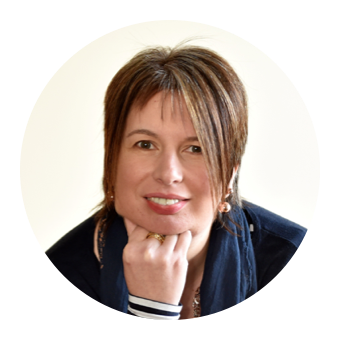 You have high expectations of yourself and of others and you like to do the best you can at everything you do. Your motto is ‘if it’s worth doing it’s worth doing well’ and you always go the extra mile to ensure that you have done your very best. This often means working late or spending hours perfecting a project but it’s worth it, knowing that you have given it your best shot. Sometimes, your desire to get things right can leave you little time for other things but the payoff is the satisfaction from a job well done. Disclosure: This is a commissioned post for Baxters. As always, all views expressed are my own. I love having soup for lunch, or when I just don't have the time to actually cook something more complicated. Tinned soup is always a good thing to have in the cupboard for these times. Baxter's do some great flavours, and I find them filling and delicious. You've hit the nail on the head there Helen. I love soups! This looks super convenient and healthy! I was impressed with their nutritional credentials - plus their convenience. Oh I LOVE French Onion but no one else in the Foodie Quine House does! Shall add a tin of it to this week's shopping list. Not all the soups were GF - the Minestrone wasn't - so be sure to check the label. 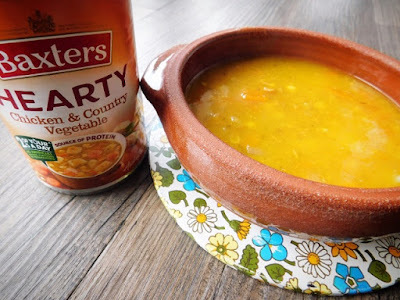 I love this challenge of soup for a week! I don't think I've seen Baxter's here in the US - but I will be across the pond shortly and will have to get my hands on some when am there! I'm pretty sure that they do export to the US. They are somewhat of a Scottish institution. I would love a challenge like this too and could happily eat soup for a week. I love the sound of the flavours in the tomato, chorizo and bean soup! Yup those flavours were a great combination. Definitely less boring than a sandwich ever day - plus cheaper and better for you. Having always made my own soup, I'm completely oblivious to what's available on the shelves. It seems like I've been missing out on such a fantastic variety! 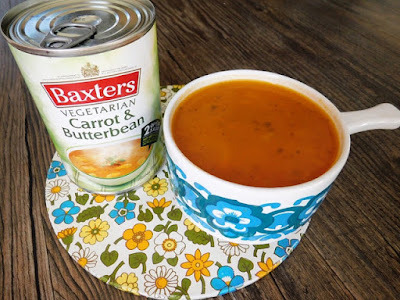 I LOVE homemade soup but when it comes to tinned Baxters do a really good job. 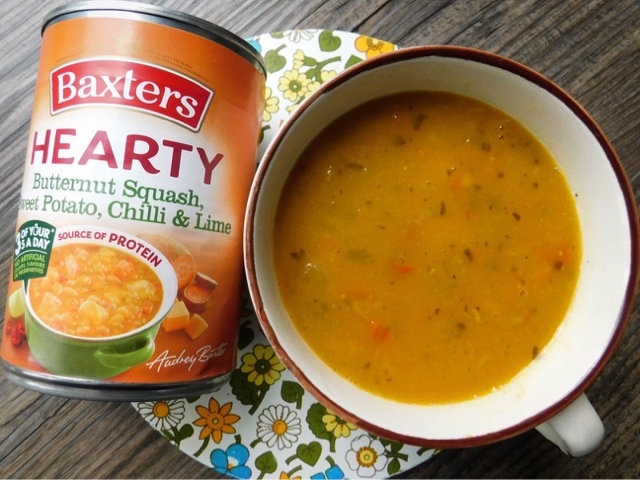 I never think to have a tin of soup for lunch, but actually Baxters are pretty good and it would make a nice change. I have my eye on the butternut squash one.